I love cars and have fixed up a few rice burners in my day. So, when I used to have cable and spent time channel surfing, I’d stop on a NASCAR race and indulge from time to time. Not my thing. Round and round and round and round they go. Look at the clock. Three more hours to go. The most interesting times would be when the pace car would come out. Without fail, I’d get up and sit on the edge of my seat and pray that whoever was driving would just punch it and channel their inner Fast & Furious. It’s going to happen one of these days. That’s how I feel about this Pacers team. The team has been one of the slowest paced teams in the league. Not since 1985 has the team played at a +100 possessions per game pace. Last season, they finished 23rd. I need someone to press the NOS button and let his baby go! Then we could all scream Oladipo Ho! and Myles wouldn’t have to walk 500 miles. I know what you’re thinking: This site is free? 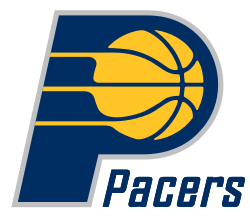 Vegas has the win total for the Pacers at 47.5. They are 20/1 to win the Eastern Conference and 150/1 to win the NBA Championship. Someone press the NOS!!! Last season, the Pacers were 11th in offensive rating, 13th in defensive rating, and 23rd in offensive pace. They did lose Lance, but outside of him, the team remained relatively intact. Some may argue that Tyreke is a better player anyways. The team is going to be good and will be led by Victor Oladipo. We were all on the Myles Turner breakout train last season, but maybe we were a year early. If he can perform how many are expecting him to this season, the Pacers could jump into the upper echelon of the Eastern Conference. The slow pace isn’t great for fantasy, but at least the roles are fairly defined. Darren Collison, Cory Joseph, and Aaron Holiday. Collison is the starter and solid fantasy contributer. He delivers solid percentages, threeecolas, dimes, and steals with low turnovers. According to Basketball Monster, Collison ended as the 46th player last season. I just don’t see him getting the 29 minutes per game he received last season, as Joseph, Oladipo, Evans, and Holiday could see time at the position. Joseph was acquired from Toronto before the start of last season. He’s a solid player and provides excellent depth at the position for the Pacers. Decent shooting percentages, can shoot from downtown, dish out some dimes, and act like a criminal. For a point guard, he rebounds well. As with Collison, I see his minutes shrinking from last season, so I have a hard time envisioning fantasy relevance outside of the deepest of leagues. Holiday was the first round pick at #23 overall. He is very quick and has an excellent handle. The J is good as well. He’s a turnover machine, though, and a little small at 6′ 1″ 185 pounds. He could get some token minutes but probably not enough to be relevant. Victor Oladipo and Tyreke Evans. Oladipo Ho! Oladipo Ho! If you haven’t read my stuff before, please click HERE then re-read Oladipo Ho! Oladipo Ho! I get so amped everytime I hear that. I also get amped when I write about Oladipo, hence the merging of the two. Kind of crazy that he’s been traded twice. Anyways, Oladipo literally does it all. Like literally. End of blurb. On to the next. Evans is a really nice signing by the Pacers. His versatility is a plus, as he can probably play the 1, 2, or 3. Still remember when he was just a bull in a china shop during his early years. He could get to the rim at will, but was Ben Simmons before Ben Simmons from the perimeter. Alas, he’s developed a nice J and is a great facilitator. Replacing Stephenson with Tyreke is an A+ move for this team. Bojan Bogdanovic and Doug McDermott. Bogdanovic ended last season just outside the top 100. Percentages are good, will provide threeecolas and score in the double digits, and will grab some boards. His main asset is that he plays close to 30 minutes a game. McDermott can shoot from downtown (career 40%). Other than that? My momma said if you don’t have something nice to say, don’t say anything. So……maybe I should bump up Bojan’s minutes projection. Thaddeus Young, Domantas Sabonis, and TJ Leaf. Young will start and soak up most of the minutes. The free throw shooting is not great, but the volume is light so he won’t kill you. The 1.6 steals are why you’re drafting him, but he will grab some boards and drain some threeecolas. The 30 minutes of run is valuable as well. Sabonis is a decent player. The percentages are good for a big man and he will contribute his share of double-dubs (points and rebounds). He will also play both at power forward and center. Leaf is the second-year player out of UCLA. At 6′ 10″ 230 pounds, Leaf is athletic and agile for his size. Can get out in transition and has the ability to stretch the floor by draining his share of threeecolas. I currently don’t have him cracking the rotation, but he’s someone to keep an eye on. Myles Turner and Kyle O’Quinn. Turner was the breakout star that didn’t breakout last season. He’s still only 22 years old, though, so we were all probably a year too early. Like Leaf, Myles is very athletic and agile for a man his size. He also has the ability to stretch the floor and snipe from downtown. Where he is elite is in the block department. 1.9 blocks is what I have him down for. Muy bueno. Oh, he also shoots a volume adjusted 76% from the free throw line. Muy caliente. O’Quinn spent the last three seasons with the Knicks and was brought in to back up Myles. Per-36 last season, 14.3 points, 12.2 rebounds, 4.1 assists, 0.9 steals, and 2.5 blocks. He can play. It’s just a matter of getting minutes but those will be tough to come by outside of injury. I really appreciate all the work you and the rest of the team are doing. When was the last date the rankings were updated? Will there be another update sometime this week?